There's nothing like escaping to the beach for a perfect holiday! 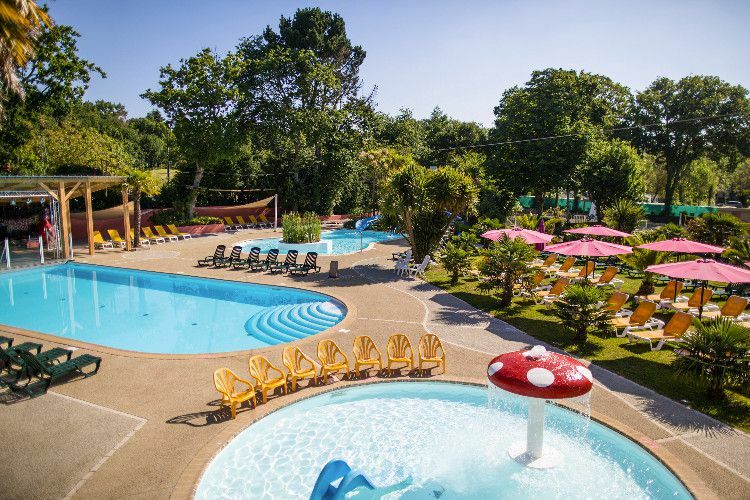 Fall for this splendid 5-star campsite just outside Benodet (1km away) for a great family getaway! Dreaming of staying somewhere between the sea and a river, with large areas dedicated to leisure and relaxation? You did well to come to the Port de Plaisance campsite in Clohars-Fouesnant which is ideally located at the mouth of the Odet river. Welcome to your destination! The Port de Plaisance campsite site opens its doors from April to September for a unique stay which will be rich in entertainment. It definitely deserves its 5 star rating: there is something there for everyone. Young children, teens and older members of the family will all benefit from tailor made activities and events (children's clubs, sports events, concerts, shows, etc.). Its main assets? The 1000 m² Aquadôme XL waterpark, its wellness area (spa, hammam, sauna and changing rooms), its pools are at the heart of the waterpark area (with slides, lagoons, etc. ), a climbing wall and its proximity to the famous resort of Bénodet. Discover the unique architecture of the Finistère region: from the Romanesque church of Locmaria to the impressive metal structure of the Fleetguard factory, through the Saint-Corentin Cathedral (13th-19th centuries) and famous bridges spanning the river Odet. Quimper also has a beautiful earthenware museum. A few kilometres away, follow the ragged coastline and its breathtaking cliffs whilst exploring the small coves and sandy beaches. The Pointe du Raz offers an unmissable view, especially in rainy weather. The Crozon peninsula, with its "edge of the world Festival", is very popular with tourists but has still kept its wild charm. To breathe in some forest air, take a stroll in the Regional Natural Park of Brittany where you will see the Black Mountains nicknamed "the gates of Hell" according to a legend. There are other must-see sites in the neighbouring regions: Belle-Ile-en-Mer, the island of Batz, the Pink Granite Coast or the Carnac stones.